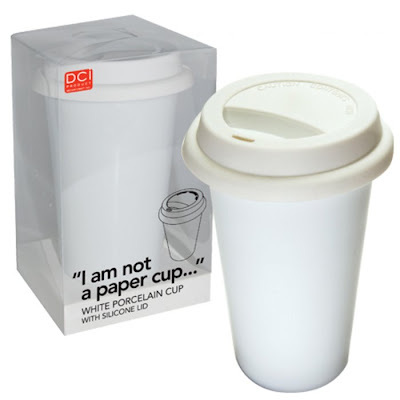 For those who want to go green without geeking out, a reusable porcelain to-go cup with silicone lid. From A+R Store. Thanks to Jesse, bride of Thom. thanks for the link - it is so mine. I'd buy two if we didn't already rock the matching migos!